Download IBPS PO Previous Papers Pdf. Check Institute of Banking Personnel Selection Probationary Officer Model Papers here. All the candidates who are preparing for the IBPS Exam can download the Solved Papers from our website. Here, we have provided the IBPS PO Exam Pattern. Also, refer the IBPS Probationary Officer Exam Syllabus. To know more details regarding the Probationary Posts, candidates can check the official website of IBPS i.e. ibps.in. Visit our site previous papers for more papers. 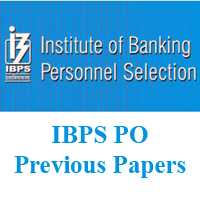 The Institute of Banking Personnel Selection released the IBPS tentative dates. So, all the interested candidates can check the IBPS PO Calendar. In the IBPS Calendar, candidates can find the IBPS PO CWE/MT VII Prelims and Mains Exams Dates. All the people are interested in Government Bank Jobs. Many candidates have the dream of achieving the Probationary Officer Post. There are more than 8000 vacancies. So, all the aspirants preparing for the Bank Exams will apply for the IBPS Recruitment. Therefore, all the applied candidates will search for the Previous Papers after the completion of the Application Process. 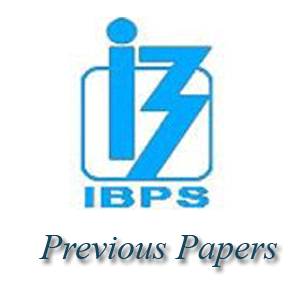 Here, we are providing the IBPS PO Previous Papers. Also, refer the IBPS Asst Manager Exam Pattern to know the model of the Exam. All the aspirants who are preparing for the IBPS PO Jobs must qualify the Prelims and Mains Exams to get the Bank Jobs. Here, we are providing the IBPS Probationary Officer Prelims and Mains Exams Old Question Papers. So, all the interested candidates can practice the IBPS Written Exam Model Papers. The IBPS Probationary Officer Prelims Exam is in Online Mode. And, the Institute of Banking Personnel Selection Prelims Exam is a Multiple Choice Type. The IBPS PO Prelims Test comprises of 100 Questions. And, the total marks are 100 Marks. There will be negative marking for the IBPS PO Prelims Exam. So, for every wrong answer, a penalty of 0.25 marks will be deducted. And, the appeared candidates must get the sectional cutoff as well as the overall cut off to get qualified in the IBPS PO Prelims Exam. IBPS Probationary Officer Mains Exam is also in Online Mode. And, is of Objective Type. The IBPS PO Mains Exam comprises of five sections. Therefore, the marks and the duration of time are different for each section. The IBPS PO Mains Online Exam consists of 200 Questions. So, the Total Marks for the IBPS PO Mains Exam is 200 Marks. And, the duration of time is 140 Minutes. There will be the time limit for each topic in the IBPS PO Mains Exam. So, after the expiry of the time, next subject will be opened automatically. And, the appeared candidates must get the sectional cutoff as well as the overall cutoff to get selected in the IBPS PO Mains Exam. Finally, the selected candidates will attend the Interview to get the IBPS Probationary Officer Job. The difficulty level of the IBPS PO Exam is increasing every year. So, the candidates also must increase their Preparation. Hence, we are providing the IBPS PO Previous Papers along with the Solutions. Lakhs of aspirants will appear for the IBPS Probationary Officer Exam. Therefore, all the candidates need to prepare hard to beat their competitors and to score the good marks in the Exam. The applied candidates for the IBPS PO Exam will be selected based on the Merit List. The Institute of Banking Personnel Selection prepares the Merit List based on the IBPS PO Prelims and Mains Marks. So, to get the good score, candidates must prepare the IBPS PO Previous Papers. Also, check the IBPS official website i.e. ibps.in to know more details about the IBPS PO Posts. Applicants can stay in connected with us through www.previouspapers.co.in for more Bank Exams Previous Papers Updates.